New York City. 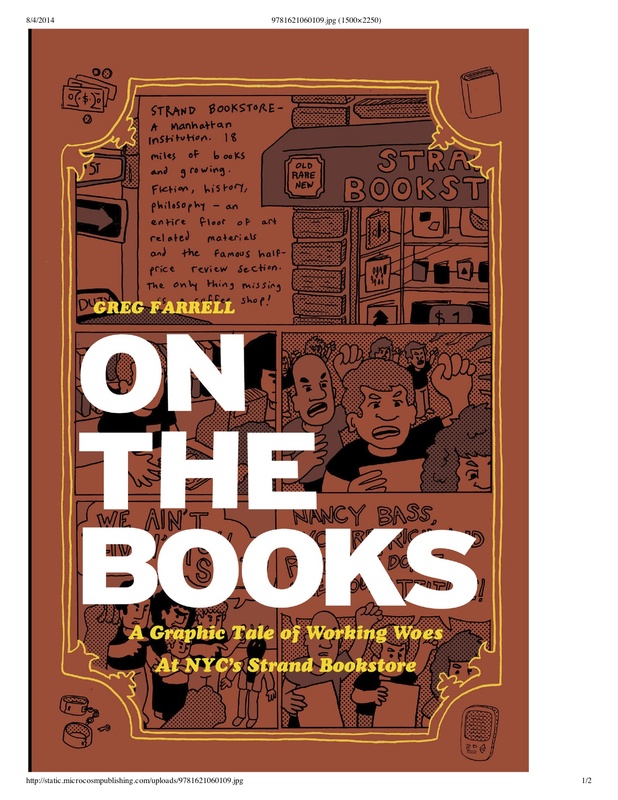 Through interstitial comic portraits, Farrell gives voice to his comrades, who often share a nuance of the story that would have otherwise gone overlooked, and provide a depth of opinion and fairness to accompany Farrell’s often very personal interpretation of events. The book explores at once the inner workings of our national retail environment, the struggles as a young working person, and the current state of the book trade.